Last week Dr. John covered the critical point of regressions and progressions (Dryland Mistake: Exercise Progressions and Regressions). Choosing the most effective exercise often depends on how many repetitions one can perform. In this post we’ll cover variables coaches must consider in choosing repetition schemes. There is no single best repetition scheme, but repetitions must always align with goals for the workout and athlete capabilities. The first consideration is technique. For some exercises, you simply put less weight on the bar if unable to achieve target repetitions. For other technique intensive moves such as pushups, you either need a regression exercise or be willing to perform very low rep sets (1-3). If technique is a challenge, it means you’re still in a learning phase for that exercise and less concerned with conditioning. Choosing fewer repetitions doesn’t automatically require a reduction in overall workout volume. 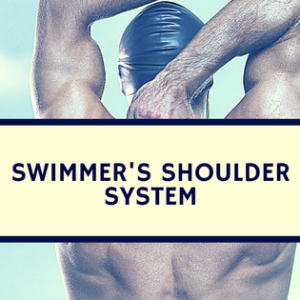 In the water, distance swimmers regularly swim 25, 50s, 75, or 100yd repeats. 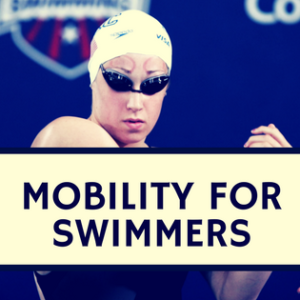 We break swim workouts into shorter reps because we know that technical quality (and perhaps mental focus) typically deteriorates if we only did straight distance swims. However, with shorter repetitions we can still accomplish the same overall volume but while preserving technical quality. Same concept applies with rep schemes on dryland. Energy systems are another consideration in choosing repetition schemes. Traditional thought says swimmers should train the energy systems most used in swimming. However, modern thinking has a greater appreciation for energy systems NOT fully addressed in the sport. 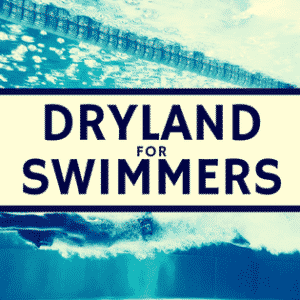 For swimming, this would mean greater emphasis on creatine phosphate, or alternatively, not even challenging energy systems at all if performing restorative dryland. Many coaches and athletes default to higher repetitions and lesser weight thinking that heavier weight might build bulk. Its counterintuitive, but the customary 10-15 reps with short rest is actually the perfect recipe for muscle building. Performing fewer reps but with higher weight is actually less stimulus for hypertrophy, as the primary stimulus is upon neural drive. Repetitions and regressions/progressions also are functions of how much weight is on the bar. One reason to select more weight and fewer repetitions is there are fewer ways to incorrectly lift a heavy weight than a light weight. Watch someone deadlift or do kettlebell swings with a ten pound weight and you’ll see all kinds of sloppy variations. Performing few reps with a heavier weight in certain exercises limits the available strategies one can use to move the load. (see, Maximal Force Production for Reducing Injuries) Going heavier is a big leap of faith for many (after all we’re constantly hammering the point of “do no harm” in the weight room), but this can easily be accommodated with proper exercise selection via progressions and regressions. Finally, speed is an overlooked yet vital component of choosing repetition volume. Maybe you complete all the reps, but set becomes a grind. Though few weight rooms are equipped with bar speed monitors, qualitative observation can often detect speed loss. Remembering that power output is a function of strength and speed, recognize that you may spend the latter part of the set training at a lower power output if you lose “bar speed”. 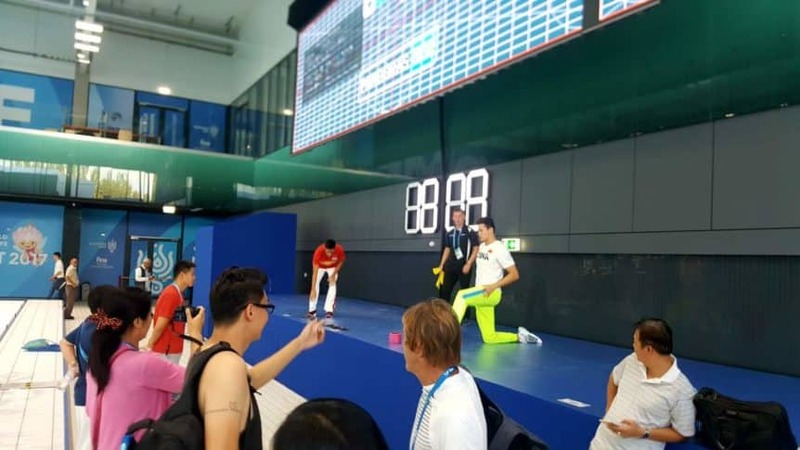 It is obvious that power output would decrease if you swam the second 50yds of a 100yd event eight seconds slower than the first 50yds; the same concept applies if you grind through the last few reps of an exercise at a significantly slower pace than when you started. There are some exercises where speed is not important (isometrics, loaded carries) but when speed is important, select repetition quantities that allow the athlete to maintain speed through the set as this will sustain power output. This may read like a case for doing fewer reps, but the most important factor is picking the optimal reps for your stated goals. Choosing fewer repetitions with heavier loads challenges neural drive, whereas higher rep schemes develop hypertrophy or muscular endurance. There’s nothing wrong with performing high volume workouts, but ensure that rep schemes align with your goals and that technique is never sacrificed. By Allan Phillips. Allan and his wife Katherine are heavily involved in the strength and conditioning community.